Home » Nespresso vs Keurig in 2019: Find Out Which is Best for You? Nespresso and Keurig are two of the top selling home coffee makers, but which finding out which brand is a better bet can be a little complicated, and takes a thorough head to head comparison. The automatic home coffee machine market is a big one. The value of good coffee machines that include prominent brands like Keurig and Nespresso is projected to climb to extraordinary market values as sales of single-serve coffee have tripled since 2011. As of 2017, however, despite growing numbers of purchases out, coffee at home still was more common than buying out, with about 54 to 46 percent, respectively. Coffee consumption overall increased by 10 percentage points between 2016 and 2017, and there are little signs that the coming years will be different. 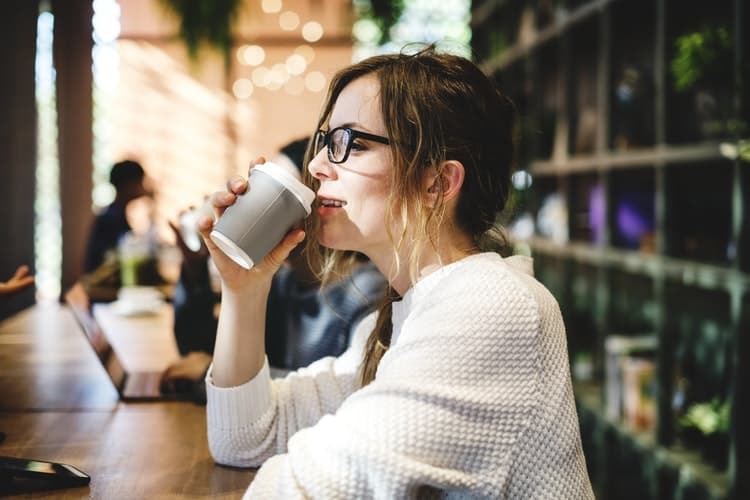 Single serve machines, or machines that have the capability to adjust to smaller sizes, are ideal for people living alone or in small families. But there’s another complication as Nespresso and Keurig attempt to compete for consumers: what kind of coffee we consume has admittedly changed as well. More and more people are looking, at least occasionally, not just for a simple black coffee or latte, but gourmet drinks. Just under 59 percent of coffee consumption in 2017 was considered specialty vs non-specialty. As American demand for coffee not only grows but shifts in its preferences, respected brands such as Nespresso and Keurig have made efforts to compete for not only with one another, but establish consumer niches, provide more options, and incorporate new technology. And all single-serve machines that use pods have also had to respond to recent concerns about pod usage and its environmental impact. Amid these complications, though, both Nespresso and Keurig have proved resilient and willing to adapt to changing ideologies, spending patterns and tastes. How do Nespresso and Keurig Brands Stack up in a Head to Head Comparison? Head to Head Comparison: How does Nespresso match up to Keurig as a Brand? This November, Nespresso announced its partnership with India Mahdavi, a respected Iranian designer based in Paris, in what at first glance seems would be an unconventional pairing. Together, they introduce a limited time edition of festive coffees, just as the holiday season was beginning. The flavors were developed for both original and vertuoline machines, and include unique offerings such as Exotic Macaron, Parisian Macaron, Parisian Praline, and black coffee varieties. Keurig made a similar move by offering not only winter holiday themed pods, but seasonal pods, with varieties for all four seasons. Currently, for instance, Keurig offers six winter holiday varieties, including flavors such as cinnamon cookie, reindeer blend, and even partners with Caribou and Starbucks for special holiday blends. For the warmer months, they have two varieties, though there is three for autumn. 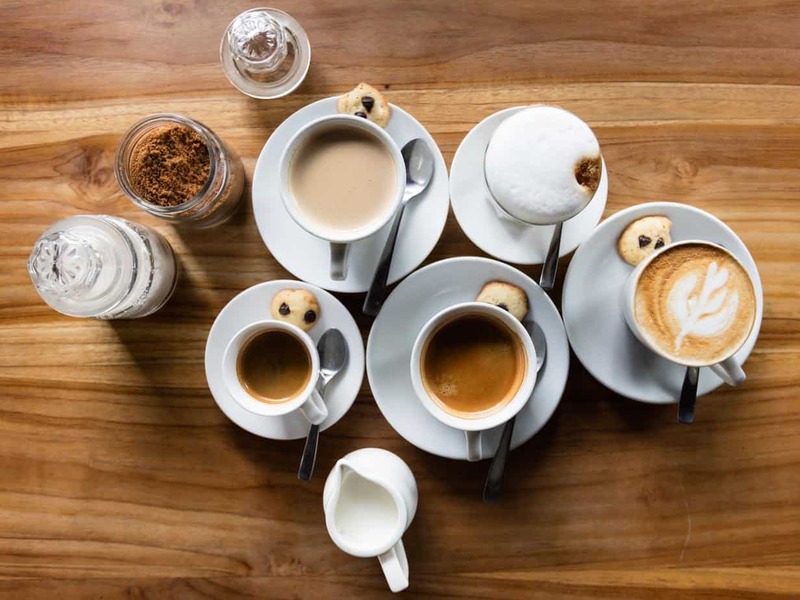 Speciality flavors are not new per say, but the increasing introduction of ostensibly ‘limited’ seasonal offerings points to a general understanding that customers now not only want a cup of coffee–but coffee that is an experience in of itself. Before we can fairly compare the Nespresso and Keurig brands, we first need to ask ourselves a deceptively simple question: what makes a good at home coffee machine? 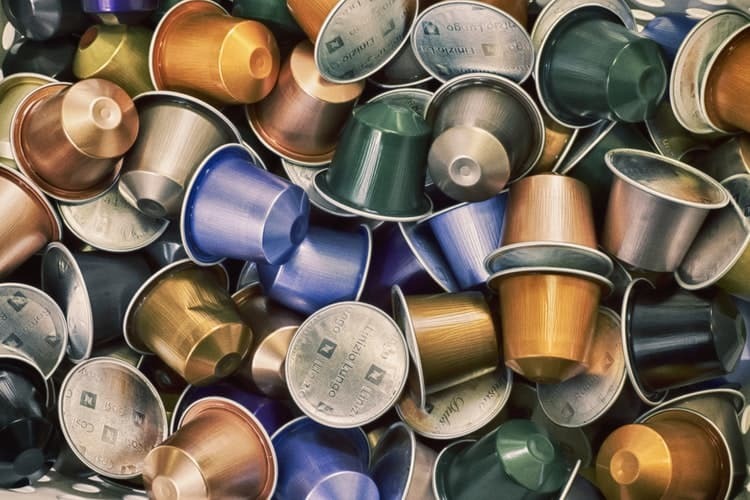 As Burke points out, both Keurig and Nespresso are single-serve machines, and while that is convenient and more practical for many, it does mean you’ll pay more for the pods. Still, even Nespresso pods–which are more expensive of the two–are at the most a little over a dollar each; through some outlets, you can get them for about half that cost. Compared to getting coffee out you’ll still save substantial money–just not as much if you bought a different type of coffee machine. Brewing temperatures are important, because it determines what the coffee will taste like. 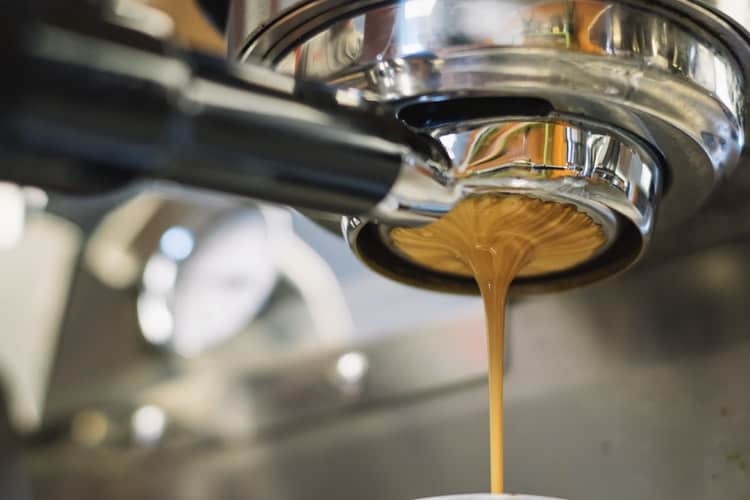 If you are not too picky, it may be less of a concern, but if you’re looking the best coffee experience possible, you should look for machines that list of brewing temperature of 195 to 205 degree fahrenheit. This one’s fairly straightforward. Do you tend to go back for many cups and would find single servings annoying? Make sure the machine is easy enough for you to clean and maintain to fit your level of commitment and lifestyle. We’ll get more into this later as we compare Keurig against Nespresso, but ask yourself first what primary purpose the machine will serve, Do you want something that can produce specialty brews? Do you want a frother or espresso extension? Do you only want hot, or also cold brews? What kind of pods, if you choose a Keurig or Nespresso, work? How expensive and accessible are these pods and do they come in varieties you like? Where is the coffee sourced from? How does it taste? What do experts and consumers have to say about individual machines or the brand overall? What do they like or not like? 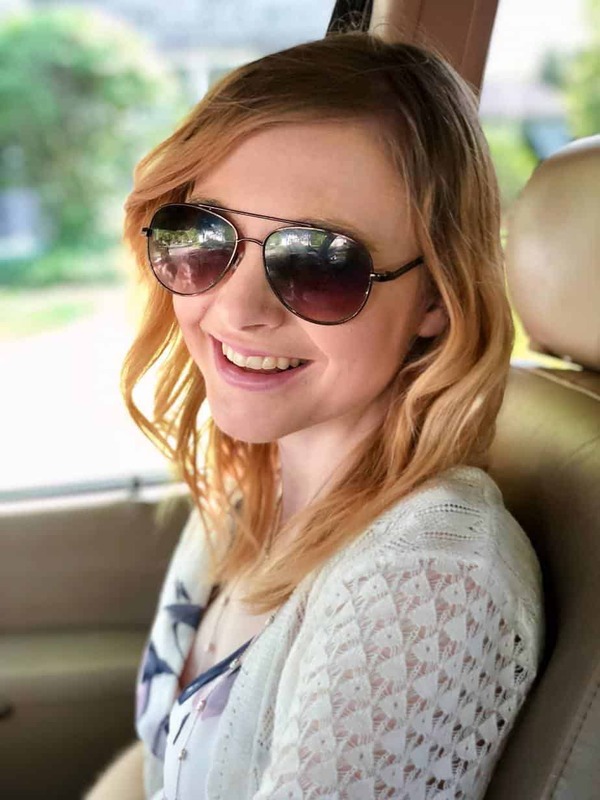 Are reviews consistent and how do they align with my own expectations? What is the cost compared to the competitors? Does the cost in my mind justify the features I’m getting? A brief note is needed: for the purposes of our comparison, we’ll be digging into different criteria to determine how Keurig and Nespresso match up as brands, but what criteria matter most will depend on your personal preferences. Both Keurig and Nespresso are prominent enough that you can find either brand in most retail locations and copious places online. Department stores, home goods stores, and even some other general retailers stock Keurig and Nespresso, though Nespresso machines are slightly less commonly offered in the store. The biggest difference in availability between the two brands is not so much in terms of actual machines available for purchase, but rather the pods themselves. While not all varieties are available everywhere, most places that sell Keurig machines also sell pods. The same cannot be said for Nespresso. You can find Nespresso pods at one of their few specialty boutiques, and occasionally a few other stores. While some big chain retailers do offer Nespresso pods, like Target, many times they still have to be ordered online. In short, while it is not too hard to find either brand for the actual machine, for the coffee pods themselves, you’ll either need to hunt or order online more for Nespresso. Winner: Keurig, for coffee pod availability. Both Keurig and Nespresso seem well aware of the increasing demand for quality coffee that goes beyond our average cup. To that extent, both have made concerted efforts to woo would be Starbucks’ fans to stay at home and enjoy their individually brewed cups. Keurig has so many options it’s hard to put a foot on what their focus is, but for this category, we’ll look at their higher end, specialty machines. The ones most compatible with Nespresso are likely the KCafe Machines, which add a more sophisticated spin to their reputation as an everyday use brand. The all in one machine combines a single serve coffee, latte, and cappuccino maker. You can also add shots for specialty drinks, plus it comes with a milk frother. The result is something decently close to a typical latte, and at the price point (more on this later) it seems like a decent value. 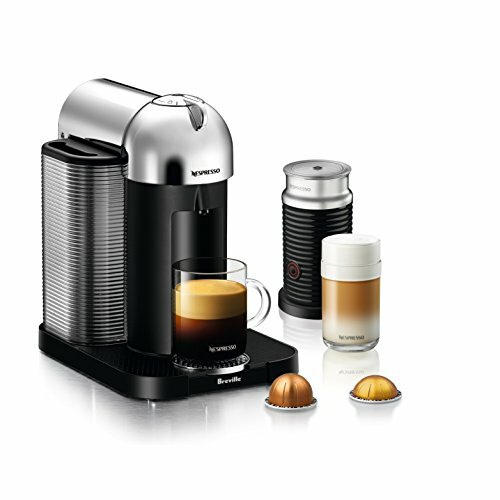 Nespresso’s Vertuoline brand can do a bit more than Keurig’s most advanced machines, but there is even more behind it. Nespresso is unique in that it uses Centrifusion technology, scanning the code of each pod to produce coffee to not only determine cup size (and water needed), but to also actually spin the pod at 7,000 rpm as it’s brewing. The result? A rich, robust cup of coffee that is not only precisely brewed, but comes with a signature layer of frothy crema with each cup. While it is a matter of personal taste, there’s no denying that coffee it produces–and the technology itself–is exceptional, placing Nespresso ahead of Keurig for the most decadent cup of coffee you can make at home. Winner: Nespresso, for its Centrifusion technology and a rich layer of crema. The majority of Keurig models are meant for common everyday use and quick preparation. Nespresso, no matter what line of machines you’re considering, also offers quick self-service that’s pretty intuitive to use. Both Keurig and Nespresso operate by loading single pods and water, for cups of black coffee, and both are finished in a matter of moments. Since both use pods, cleanup is fairly simple, with a separate compartment for disposal and the water filter. And most of the Keurig and Nespresso models are simple to clean and require little maintenance. In terms of affordability, there are some differences. The lowest price Nespresso per their website comes in at around one hundred dollars with its current sale but normally retails for just under $170. Keurig has a number of models around $99, but the biggest difference comes in terms of the pricing of the pods. While in the past off brand pods at lower costs have been used for Keurig machines for customers looking to cut costs, some version now cannot operate with off-brand pods. It’s simpler with Nespresso: due to the laser scanning technology, off-brand pods can never work in any Nespresso machines. Keurig pods, on their website, vary in cost depending on pod type, brand, and pack size. Pods range from four to five dollars per six-pack or about $15 to $16 for a 24 pack. On Amazon, you can get a 40 pack for just under $25 (Check out the latest rates here!). While not drastically different, buying individually from Nespresso can really add up. And if you don’t buy through Amazon Prime, you’ll have to pay for shipping an opposed to Keurig pods, which can be purchased in stores for discounts too. Winner: Tie for use; Keurig, for affordability. Of course, you can appreciate all of the features of a brand but disappointed in your coffee options. While we have already discussed limited edition holiday flavors, which both offer a number of pleasing choices, perhaps it makes the most sense to compare everyday flavors. Keurig partners with a number of leading coffee brands, including as commonplace as Maxwell House and leading franchises, such as Starbucks, Dunkin Donuts and Caribou Coffee. In addition, Keurig also has its own line of coffee, with fairly common light and dark roasts. You’ll also have a large selection of flavored coffees, many through brand names. Nespresso pods are much more limited, mostly because Nespresso only offers its own line of coffee and does not partner with large franchises. Aside from its holiday collection, you can buy either coffee or espresso. The coffee line includes decaf; half-caf; Mexican, Columbian, various levels of roast intensity and a few flavored pods, including hazelnut, vanilla, and caramel. Nespresso, which was acquired by Nestle, roasts its coffee in Switzerland, but neither Nespresso or Keurig have much information as to where their coffee is sourced. Nespresso pods are BPA free, as are Keurig pods. 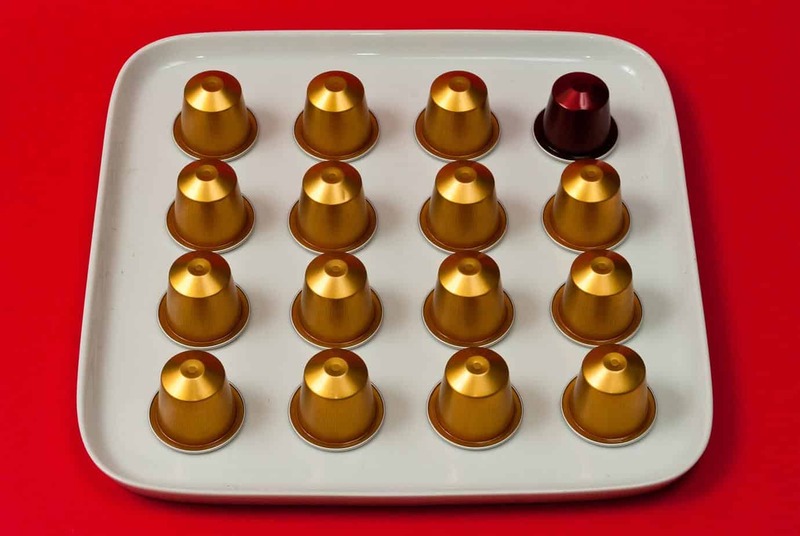 Overall, Nespresso takes more time to explain flavors and intensity for each coffee, while Keurig’s wider selection will appeal to everyday coffee drinkers. It’s difficult to pin down exactly what customers think about either Nespresso and especially Keurig simply because there are many different options. For Keurig, the ratings may be more based upon how well the pods are able to replicate coffee house coffee. To be most fair, and for the best head to head comparison, we took a look at how each brand performed on Consumer Affairs, an aggregate online review resource. Nespresso averaged a 3.8-star rating out of seventeen reviews and Keurig averaged just slightly less, at 3.5 out of 5 stars and a total of 45 ratings. We aren’t too concerned with fewer ratings for Nespresso, because Nespresso, which is known to have a more niche market, accounts for far fewer sales than Keurig in the United States (it has a larger base in Europe). Nespresso buyers loved the coffee itself and said it was easy to use, with some customers commenting it is not as fast as they would like. Keurig users enjoy the simple use and versatility. Both brands had complaints with receiving faulty equipment that needed to be exchanged, but Keurig had more consistent concerns in terms of durability. Winner: Nespresso. While it has fewer reviews overall, the ratio and severity of complaints are also better, though not by a huge margin. Keep in mind that many use consumer affairs in order to report complaints. In the head to head comparison with Nespresso pitted against Keurig, it quickly becomes clear that both brands have their pluses and minuses. In terms of practical everyday use and appealing to coffee drinkers overall, Keurig is a safer choice. It offers coffee brands everyone knows, is easier to buy, and a bit more affordable. But the serious coffee lover might be more pleased with Nespresso. There just isn’t much that can match the brand’s revolutionary technology and specific flavor notes. 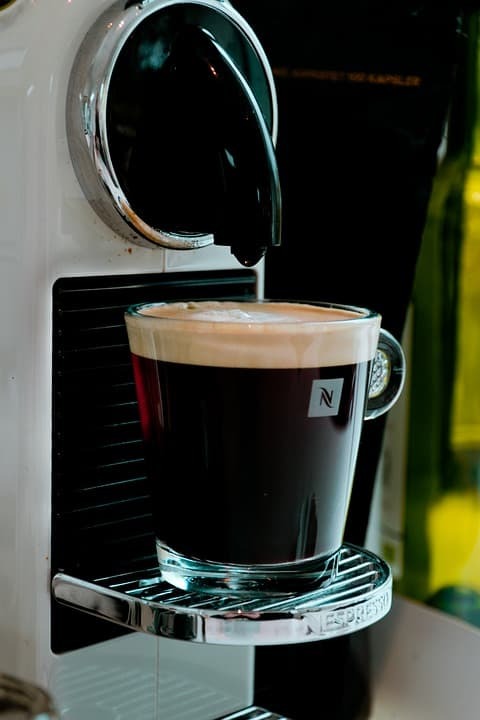 If you can afford a little more and don’t mind not being able to enjoy name brand coffee, Nespresso, with its signature crema, is an alluring option. Previous Post: « Nespresso vs Espresso: What’s the Difference?